123FormBuilder is a web-based form and survey builder with a drag-and-drop editor. It enables users to build any type of online forms, manage workflows, and collect data. In this article, we cover 123FormBuilder reviews and pricing. Ready to get started? Sign up for free. Users who gave 123FormBuilder a positive review said that the program is easy to setup and use. Many liked that there are plenty of integration and customization options. Others appreciate that they can easily create any type of online form without needing coding skills. 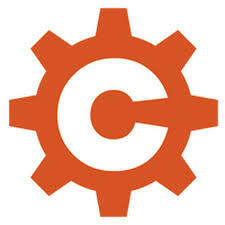 One user who gave 123FormBuilder a positive review on Capterra said that the platform’s drag-and-drop editor is user-friendly. She added that the program makes it simple for her to create and deploy online forms and surveys. She likes that the integration options cover the most popular platforms and standard publishing options. She also loves that a basic free account is available, which allowed her to try and assess the app at no charge. As of February 2019, there are not a lot of negative 123FormBuilder reviews online. However, some users reported that the customer support for the free account is not that prompt. Others complained about occasional system glitches. One user who gave 123FormBuilder a negative review on G2 Crowd said that the program’s developers failed to fix a few system glitches which he had already reported. He also wished that the email notification and comma-separated values (CSV) export features would be readily available to all plans. 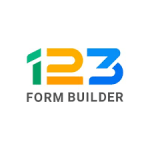 123FormBuilder pricing is inclusive of a free account and two paid subscription packages: Gold at $24.99 per month and Platinum at $44.99 per month. The main differences between the plans are the number of web forms, fields per form, and submissions per month included as well as access to integration features like PayPal and Stripe. 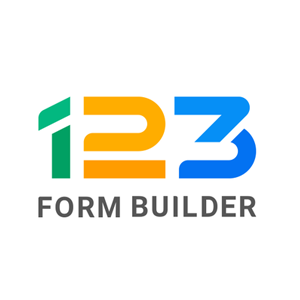 Ready to get started with 123FormBuilder? Sign up for free. What Happens When a User’s Subscription Fails? The saved forms will continue to function normally. 123FormBuilder saves all submissions and will be available again when the payment source has been changed. Does 123FormBuilder Offer Discounts for Educational and Nonprofit Institutions? 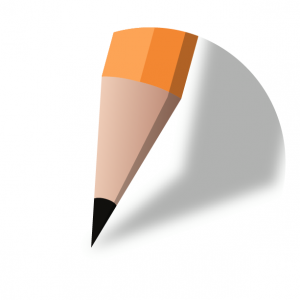 123FormBuilder offers a 20% discount to educational and nonprofit organizations. Have you read these 123FormBuilder reviews and are still not sure if it’s the right fit for you? Read our reviews of all top online form builders or check out one of these three 123FormBuilder alternatives. The customer service via online chat is what makes this product very good. The staff is knowledgable and eager to please – you can get an answer very quickly. The interface to create forms is user-friendly and fast to develop. You can create multiple forms, clone them and add as you need. I love the fact you can route through our own SMTP server and that you can create your own subdomain so the forms appear as if they were done on your site. The notifications are great. The translation component is very powerful as you can translate almost anything on the form. The admin interface is satisfactory and the export process is ok. There are several features still in BETA and incomplete. For example, the repeatable content has been in BETA for almost a year, and therefore it is not working properly. The validations are somewhat basic as you can’t compute anything. There is cascading of data from one field to another. If you ever need to pass values from one form to another, you will need to hire an HTML expert to read the ID of the fields. There is no easy way to compute text formulas (i.e. aggregate First and Last Name into one field). I very much dislike the fact that changes to the form are instantly available. There is no process to preview and then release to production. The product itself has a lot of potential, but the developers take too long to fix the bugs and add new features. It is too bad as the customer service is fantastic. – The repeatable content field was buggy. We had to spend many hours working around it – very costly for us. – Attachments are zipped by default. This was almost a showstopper as we had to unzip them and that takes extra steps. – Chaining forms is slow and very, very complex to do. Some fields don’t transfer well (i.e. mobile phone or large text). – reporting is basic, but also buggy. You can’t trust the results unless you refresh it. – It lacks integration with SharePoint. We had to create an MS Excel tool to denormalise the data so it can be used in other systems. – impossible to know what language the user selected to submit a form. – Converting to PDF is not free. You need to buy credits. 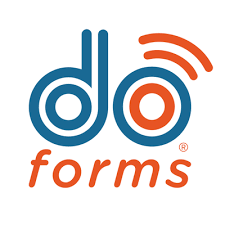 Overall, 123formbuilder will do a great job for basic forms. If you want to do more sophisticated forms, look elsewhere.